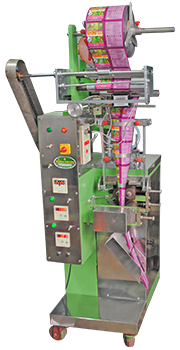 We manufacture wide range of Automatic Liquid Packing Machine that is widely used for safe packing of liquids. These also find application for packing of mineral water, milk, lubricants, vegetable oil among many other liquids and fluids. The Machine operate on the principle of Volumetric syringe systems with a provision of volume adjustment. This machine can be packed liquid items such as Shampoo, Tomato Ketchup , 2T Oil, Syrup Hair Oil etc.